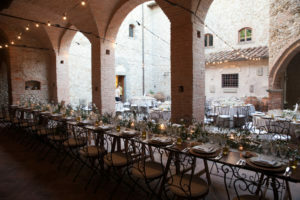 The region of Tuscany has become one of the most popular Wedding destinations in Italy. 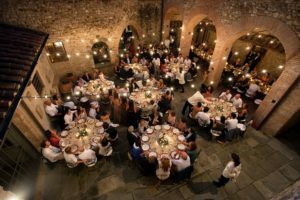 Bursting with medieval castles, antique palazzos and elegant or rustic villas in the countryside, this region is definitely one of the first choices when looking into a Destination wedding in Italy. Tuscany itself is a very large region of Italy, and there are many options from which to choose from: Medieval villages, historical towns, castles, country churches (the so-called pievi) and beautiful abbeys, are scattered all over the territory and their profiles stand out in the landscapes of the Crete Senesi, Val D’Orcia, Garfagnana, Chianti and the Maremma. 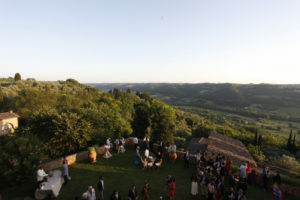 However Tuscany is also a region of islands. 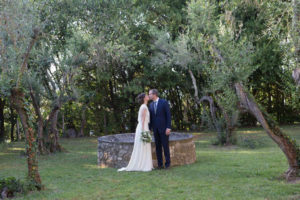 The islands of the Tuscan Arcipelago are surrounded by Mediterranean vegetation, a crystal-clear sea and rich seabeds. 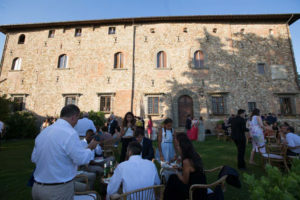 Tuscany also has a unique culinary tradition (ribollita, bistecca alla fiorentina, pappa al pomodoro, cantuccini and vin santo), and is very famous for its wine (Chianti, Chianti Classico and Brunello di Montalcino). In conclusion, there are so many reasons we love this region and so much in it to discover, that it will never finish to amaze us.